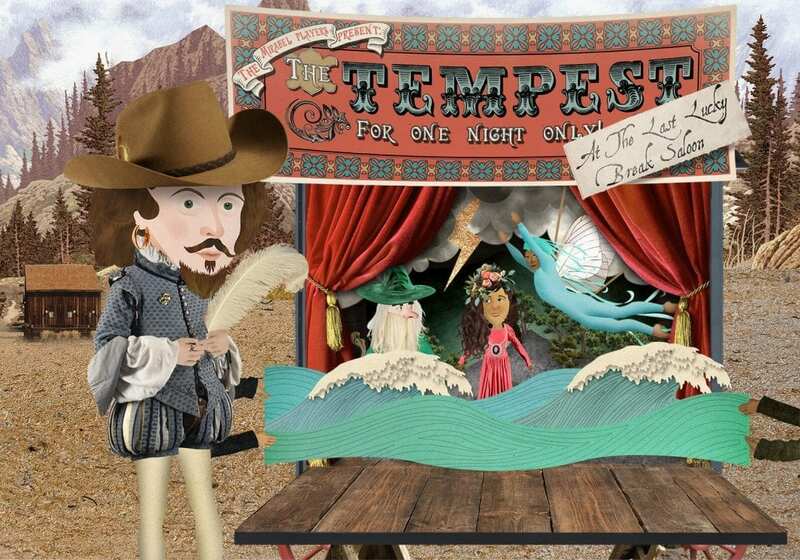 New Shakespeare Learning App: "Shakespeare & Saddlebags"
Our friends over at GingerSnapTV have recently completed an iPad app specifically designed to introduce children aged 5-9 to Shakespeare – “Shakespeare and Saddlebags”. They’ve taken a rather unique approach, basing the app on the little-known Shakespeare fact that the Bard was very popular with the prospectors of the Californian Gold Rush. The influx of wealth to California in the 1840s and 50s drew actors and travelling theatre troupes from across the globe, and they frequently performed Shakespeare because they all knew the parts without the need for scripts. The shows were popular with the prospectors, and apparently they really did throw bags of gold on to the stage after seeing a good performance! The app itself allows adults – parents, grandparents etc. – to create the story and put themselves into it by adding their picture, before gifting it to the child. This is a nice touch as research and testing has shown that children become much more engaged with the content when they see a close relative featured in the story. There are 4 games interspersed through the story for the child needs to complete, then at the end they can make their own picture using the ‘digital sticker book’. which ideally gets sent back the person who made the story. The learning is very gentle, but also very effective.